We witnessed an unusually high number of signups over the weekend. After some investigative work, I'm glad to report that Any New Books? 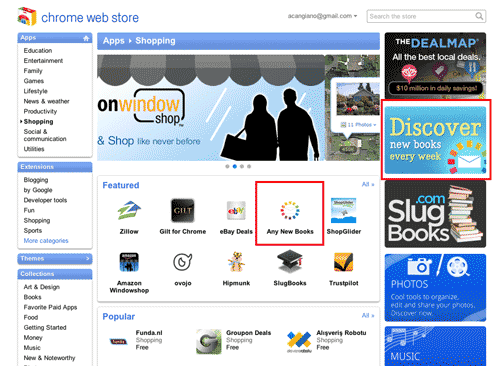 was featured on the Chrome Web Store for the Shopping category. Pretty cool. Those who don't use the Chrome web browser can check out the screenshot below.